Your customers want the latest information at their fingertips. They depend on you to be correct. Every time. So website maintenance is not just important, it's essential. Adding new features and content to your site regularly helps more people notice your site and it keeps your existing customers coming back for more, but we know it can be hard to find the time to keep things ticking over yourself. 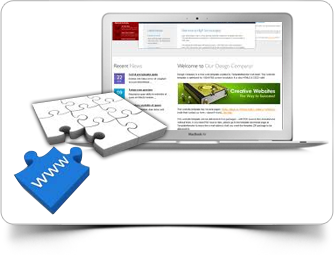 Our website support packages take the hard work out of maintaining your website. We'll work alongside you to handle technical requests, run upgrades or backup your data. In fact, our customer support will feel a bit like that third arm you always dreamed of. Call us today and start saving time. Keeping your website online and topped up with new content is simple when you use our free updates service. Simply send us the text and images you'd like to add and watch it appear on your website within 48 hours. Fast and efficient service, every time. Whether you've discovered a problem, want to consider something new or simply want to pick a technical brain, we'll be available to chat, at the end of the phone or face to face. We build relationships that last and going the extra mile for our clients comes naturally. Updating text on your website is FREE. We offer our customers free copy updates when necessary. You simply send us new text or images by email and we will make changes within 48 hours. Professional web design is a fast changing industry. We promise to keep an eye on the latest developments and let you know when something needs to change. We'll also run regular upgrades, test new functionality and offer top notch customer support. Not all websites are created equal. Some might be looking pretty nice but the code behind the site is what makes all the difference. Well coded websites make it easy for Google to index your site faster, users using various browsers can be sure the site will work even when they upgrade and of course well coded website is easy to manage and upgrade which is saving your running costs in the future. Backing up data or website maintenance might come low down your priorities but they're an essential part of running a successful online business. Hand the reins over to us and we'll handle the technical parts while you get on with growing your business. Our website support packages come with a 24 hour response time guaranteed because we know our clients can't afford to wait. Knowing who's visiting your site, where they came from and why they leave can help you iron out problems, spot future opportunities and increase sales. Our weekly traffic reports present the most important stats in plain English so it's clear what action to take.